"Happily ever after" begins with a wedding at VIP Country Club. 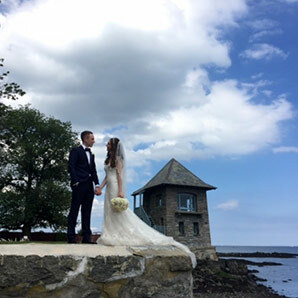 No matter where your imagination takes you, from a dramatic waterfront wedding ceremony, a reception for 350, to an intimate gathering of family and friends, our dedicated staff will assist you in designing a seamless event. For the third year in a row, we are proud to be a Wedding Wire Couples's Choice Award Winner! To inquire about planning a special occasion, click here. "The VIP country club went above and beyond on the day of my wedding to make sure that everything went perfectly. I am forever grateful for their wonderful services. "We had nothing to worry about through the whole night. The food was great, the staff was great, the venue was great. We are at a complete loss of words to describe how great VIP was. "Our wedding was absolutely perfect. VIP has an amazing staff who made sure every detail was perfect! Also my Bridal attendant was an absolute doll and made our night even more enjoyable! "Their team made our wedding day such a memorable experience. They thought of every little detail so that my husband and I didn't have to. "Everything was exactly how we wanted it. They were professional, helpful, and answered all of our questions. The food was delicious and the venue was beautiful! "Everything from start to finish was absolutely perfect! My expectations were definitely exceeded. "As the father of the bride I can tell any father that I was proud to have my daughter’s wedding there and I could not have asked for a better place. 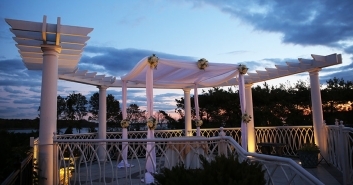 "We want to start by saying our experience at VIP Country Club was nothing short of amazing! From start to finish everything was top notch.